Philosophical Consulting | What can a philosopher do for you? 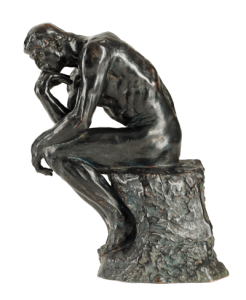 Philosophical Consulting – What can a philosopher do for you? What can a philosopher do for you? In a knowledge economy, information is everything – almost. What really matters are good ideas. So what is philosophical consulting? Short answer: I supply and sharpen ideas for your business. How? I have an academic background in both philosophy and computer science, which equips me with the tools of rigorous analysis and creative suggestions. I was trained to think outside of the box. Invite me into your box to find out for yourself – first hour of consulting is free. I’m also a nonfiction writer and a poet, who spins creative tales on a daily basis. This is the common ground of these two vast fields: producing useful, creative ideas. I started this initiative in 2005 while I was living in Berlin, and called it “Idea Fixer”, or, I can help you fix your “idées fixes”. I invite you to an experiment that will give you potentially invaluable fresh ideas for the price of a hotel night! First, I analyze any documents as if I was reading a philosophical treatise. I’ll spot inconsistencies, vagueness, logical fallacies, circular argumentation, hidden assumptions, and so on. As an experienced linguist, I’ll also look at grammatical and orthographical issues, change spelling and replace fancy words. I’ll ask you powerful questions and use your answers as input for my thinking apparatus. I don’t apply any existing “methodology”. I don’t attempt to put your business in a box. I’ll just offer the best of my dual academic background, internationalism and years of experience as an independent thinker. Deliverable: a report on the issues I found and a well-prepared individual – myself – for stage two. If you like the report, we’re ready for the next step (if not, just toss it out and you don’t owe me anything). I’ll do market research and think about solving the problems we’ve identified. I create a plethora of fresh ideas, scrutinize them, compare them with existing ideas, rewrite them, scrutinize them some more, and present them to you. Deliverable: a bunch of ideas that have sufficient escape velocity to bring your business forward. Finally, implementation. I offer my hands-on skills to make these fresh ideas a reality. It would be a waste of resources to reduce me to an experienced English/German/Dutch translator, a WordPress expert, a SEO person, a well-versed editor, a web designer, a marketing person or a social media guru. But I can do all these things, too. And of course I love to work together in a team. Deliverable: your new website, copy, campaign or App. Please get in touch if you think your business could use some breeze, but without the clutter of a big consulting firm. My first hour of assessment is free of charge and if you really don’t like my ideas you don’t pay anything for them either!